This freebie does a neat job of cleaning out the Registry junk. It scans the Registry, flagging orphaned or bad Registry entries, and shows you the name and values for each. It identifies Registry entries that may be dangerous to delete, and those that are safe to delete, so you can distinguish between the two. It also lets you decide which entries to delete, and which to keep. 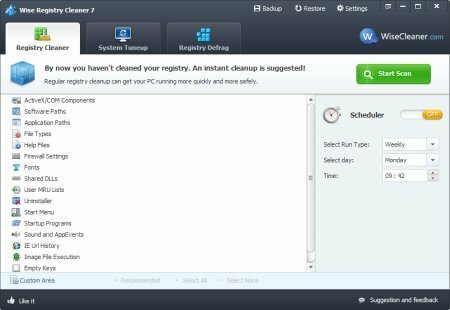 For safety's sake, it can also back up your Registry before a scan, so that you can restore it, if the program causes any problems.